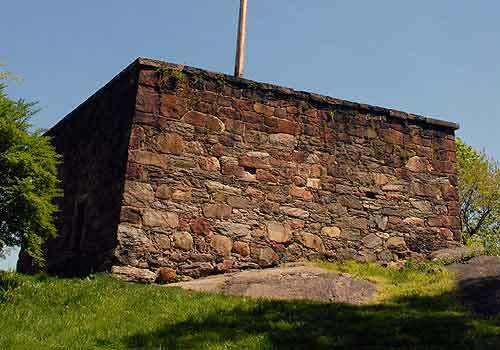 Central Park's oldest building, the Blockhouse is also the only remaining fortification of the many built in 1814 to defend against the British. It stands on the edge of a high precipice above the lower topography of Harlem. The rugged stone structure once had a sunken wooden roof and mobile cannon that could be deployed quickly. Today, the Blockhouse is empty, roofless, and securely locked. West Side at 109th Street and Central Park West.